I am discussing my goals in the order I listed them on Feb 1st, but I really should have these 2 in positions 7 and 8 (yes, the bottom of the list). Not because I do not like the projects, but because they both have "issues". Okay, maybe it's not the sock's fault. I started this UFO back in 2006. 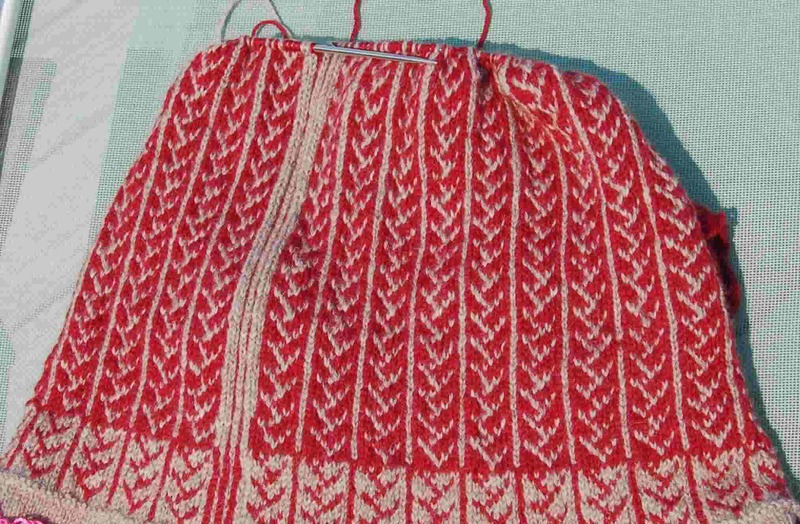 At the time it was only my second project using stranded knitting. I make gauge swatches of everything except for hats and socks (I make hats as a gauge "swatch" for any sweaters I make). Can you guess where we're going with this? Well, the sock is WAY too tight--even for my daughters. What to do? It really is too pretty to abandon, so I have decided to sit down with the chart and make it into a pair of wrist warmers. 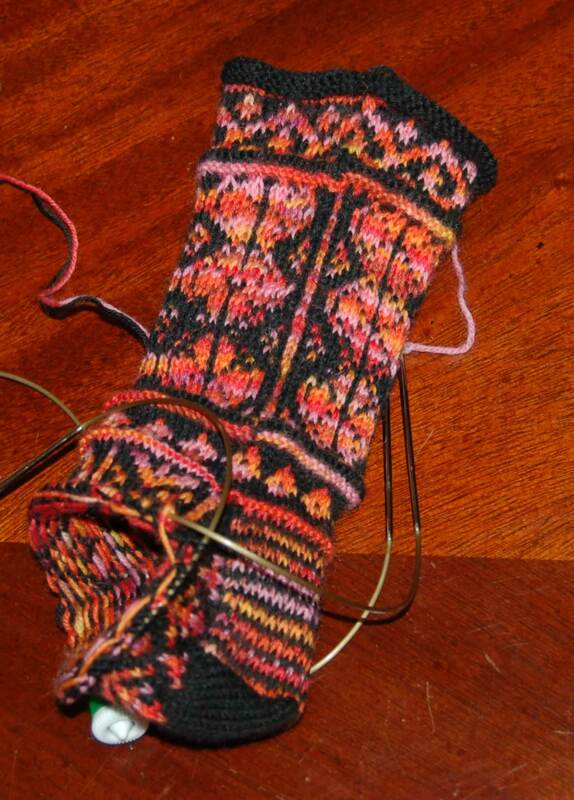 I will rip back to where the heel started and make a pretty finish. It really won't be that hard--I just need to sit down and do it.